Holy grail alert! 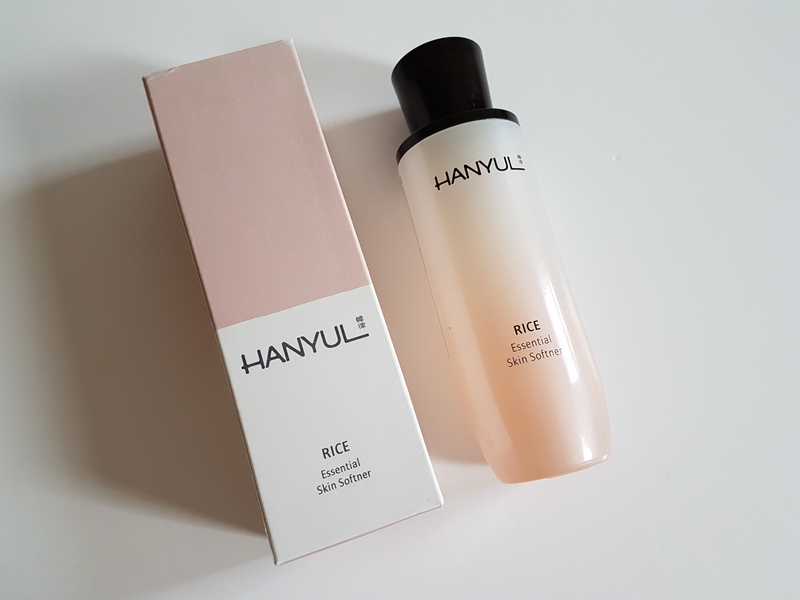 Let me just preface this review by saying just how much I looove this Hanyul Rice Essential Skin Softner and how it’s made the best difference to my skin since I started using it. Hanyul is a brand inspired by traditional herbal and medicinal remedies, utilizing ingredients based on natural plants and grains and combining it with modern technology and formulas. 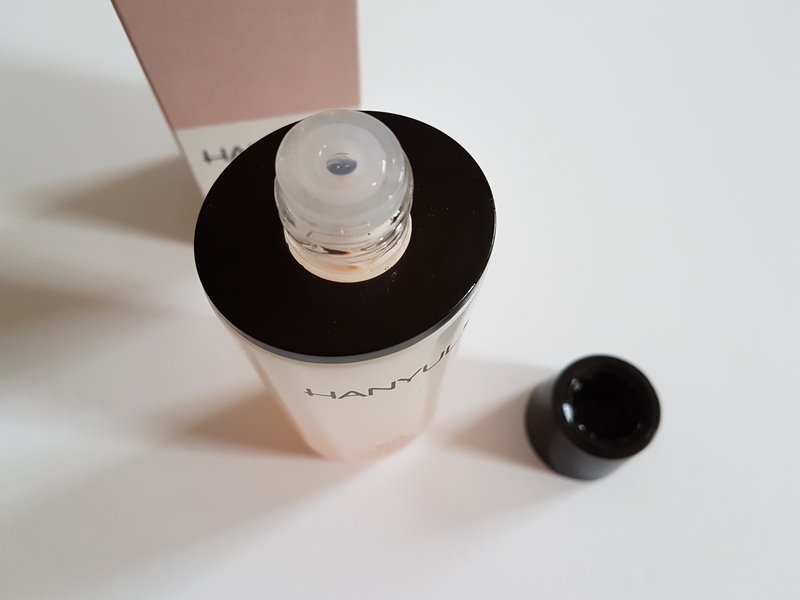 It is very similar in concept to the high end brand Sulwhasoo, (both of which come under the parent brand Amore Pacific), but Hanyul is more of an affordable mid-range brand like IOPE, that is geared towards 20s-30s. I really appreciate Hanyul products because they have distinct skincare lines that focus on different traditional plants/grains that are native to Korea. This includes rice, ginseng, brown pine needles, artemesia, baekhwago (Korean mushroom), Korean chrysanthemum, and seoritae (Korean bean). 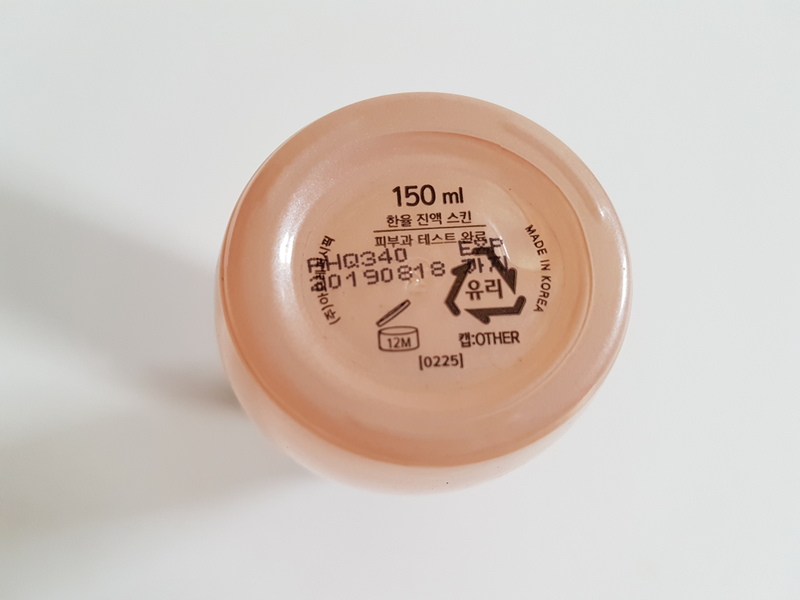 This rice line contains cleanser, skin, emulsion and cream – they have revamped the packaging in 2017 so it has a dusty rose colour instead of the orange tinge on my bottle. 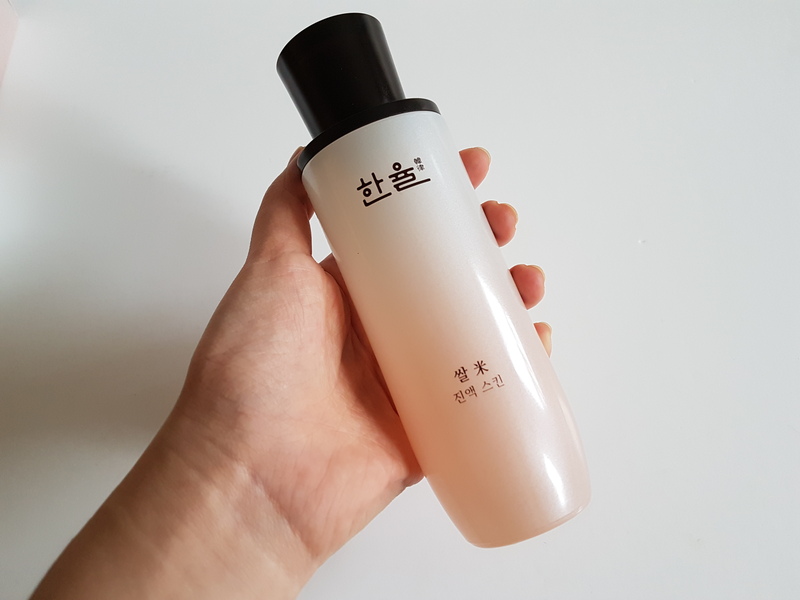 I have the skin (which means toner in Korean), but I’ll explain below how I use it a little differently and regard it more as an FTE. I purchased this from Aritaum in Seoul where they had an offer of 2 for KRW56,000/£40 (1 usually retails for KRW35,000/£25 for 150ml). You can purchase it online from Cosmetic-love for about £27. The Hanyul Rice Essential Skin Softner is basically a moisturising type of Korean toner. What makes it special is that it contains red rice fermented extract which is produced through fermenting Yeoju rice. 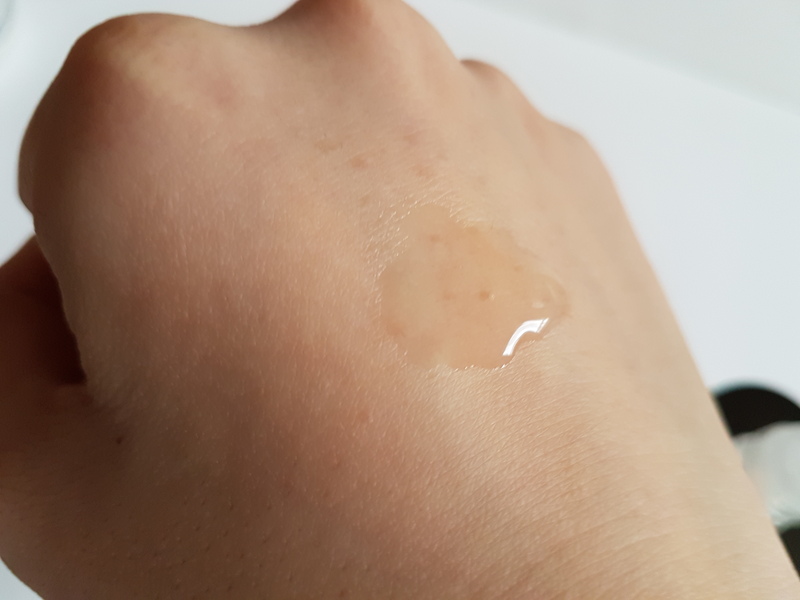 This particular rice is grown in rich, sandy red soil full of organic matter and with clean Yeoju water; when fermented for 8 days it supplies abundant moisture particularly aimed at dry skin types and protects the skin barrier. You may be thinking, why rice. Rice is not just a staple in Asian cuisine, but also well loved for being an effective skincare ingredient. Rice water has been known to be used by Asians (Japanese geishas in particular), for centuries and helps provide clear, flawless skin. 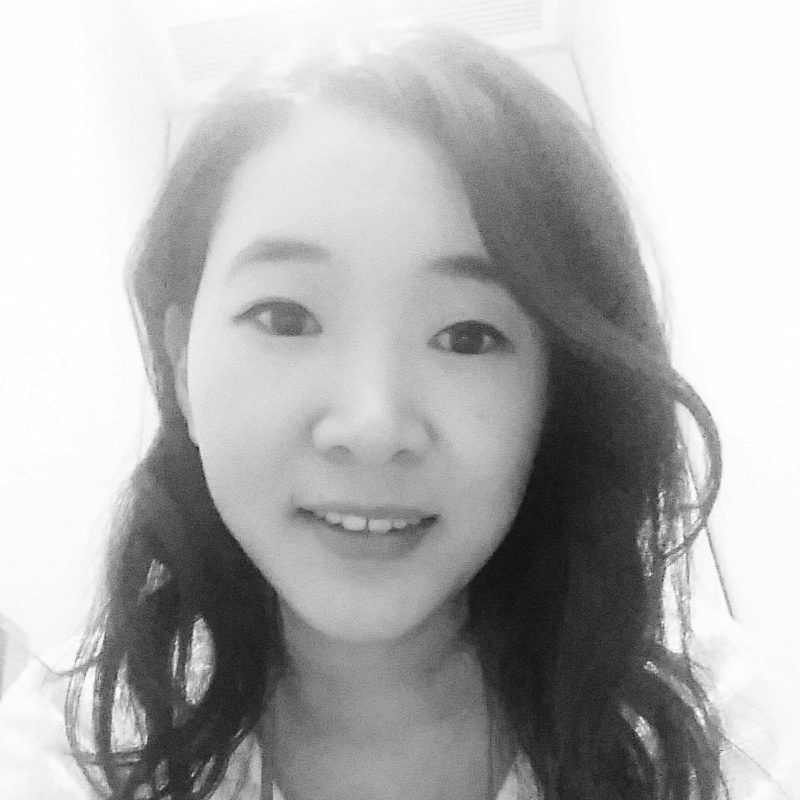 If you look at Asian cosmetic brands, rice features prominently in a lot of skincare lines. Rice is rich in vitamins and minerals, in particular vitamin B which helps promote cell growth & renewal (especially useful to counteract UV damage), slows down the ageing process by increasing collagen production and stimulates blood flow. It also has moisturising and antioxidant benefits too. All this combined makes it great for giving smoother, plumper and brighter skin. The fact that this product utilises fermented rice makes it even more nourishing because it is able to penetrate and absorb more deeply into the skin. Hanyul products typically have Korean written on one side and English on the other. Heavy glass bottle with screw top cap. Quantity is visible through bottle if you hold it up to the light. Some people may be wary that ethanol/alcohol comes so far up the list of ingredients. I personally don’t have a problem with it in my skincare and this certainly does not feel drying in slightest. This skin softner does not smell anything like alcohol (it has a herbal, powdery but fresh scent that I really like), and is so moisturising I wouldn’t have known there is ethanol at the top of the list without looking. I love the inclusion of Niacinamide in this which is a type of Vitamin B3, as its a double booster to the vitamin B found naturally in rice. This power ingredient can reduce redness, hyperpigmentation, improve dull, sallow skin, increase collagen production and minimize fine lines. I love this mainly for how moisturising it is and the change it’s made in my skin texture and clarity. My skin is usually on the normal to combo side but this winter my skin has felt especially dry/dehydrated (which I think is due to me getting older and my skin type shifting slightly). This came into my routine at the perfect time and really was a skin saver. After washing my face, my skin would usually feel tight, but after applying this, it would immediately feel plumper and hydrated and you can feel the moisture working deep within your skin and lasting for hours. The instructions recommend using this after the Hanyul Optimizing Serum which I don’t have. Others use it as the first toner step after washing their face. I use this as a FTE step, after I apply a thinner, lighter toner first. 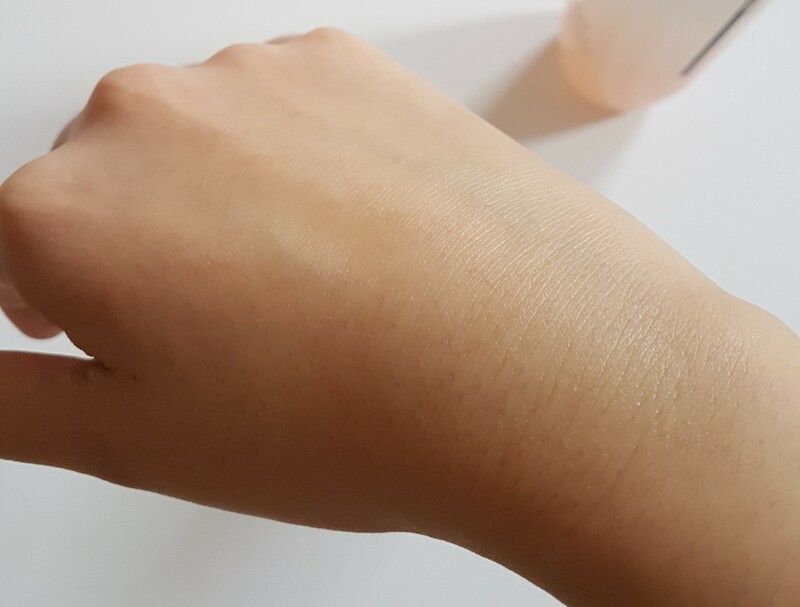 I do this because the Hanyul Rice Essential Skin Softner is quite viscous and slightly thicker than a regular toner so I like to shake it out on my hands and then pat and press into my skin with the palms of my hand to help absorption. I apply the first, lighter toner on a cotton pad so it can help sweet away the leftover dirt and makeup that my cleanser may have missed. Then by the time I’m pressing in this softner, I can be sure its thoroughly penetrating into my clean skin. 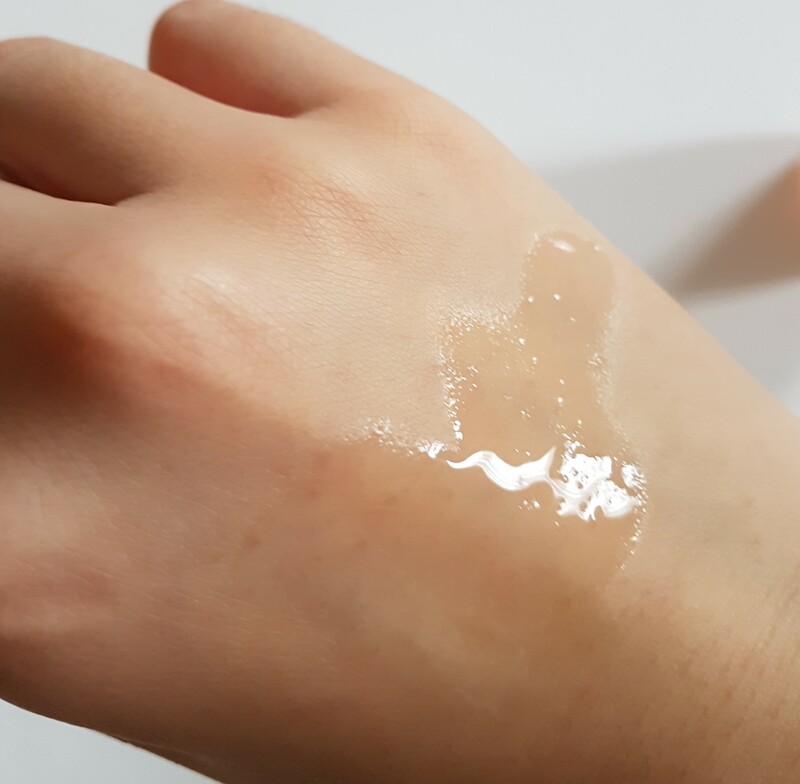 I sometimes also use it with the 7 skin method as its the perfect consistency to do it – a great explanation of the 7 skin method is on Glow Recipe’s blog. 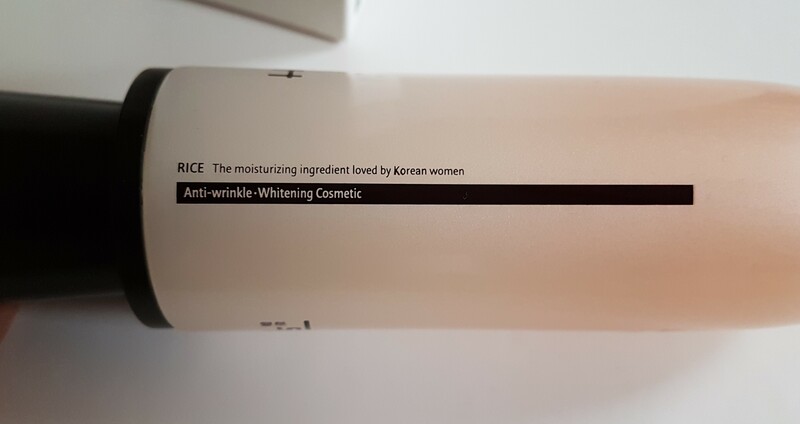 The product description says this is for anti-wrinkle and whitening – don’t pay the latter too much attention, it isn’t going to bleach your skin and make you 2 shades lighter. It simply means – as with all Korean beauty products – that it will help brighten and improve uneven skin. When I first started using this product, my skin was also in quite bad condition. It looked dull and uneven, and I had hyperpigmentation and a rough skin texture from old pimples/spots. I didn’t notice a drastic fading effect on my scars & hyperpigmentation (which I rely on the stronger vitamin C to take care of that), but this did noticeably improve my overall skin texture and dullness after just a couple weeks. My skin really plumped up and became super smooth to the point I couldn’t stop touching and stroking my face! It was honestly the best feeling, since everything I applied after this skin softner went on like a dream. It also brightened up my overall complexion so I looked more fresh and youthful. After using this consistently day and night for the past 5 months (I’ve used up 3/4 of the bottle), there is less obvious change but it has maintained the health of my skin and it has not deteriorated to the point it was before I used it. When I occasionally go a few days without it, I definitely notice the difference. This is certainly effective and I really recommend it for any skin types because it’s hydrating without feeling heavy and clogging your pores. It absorbs easily so you can move to the next step of your skincare very quickly. Although dry skin types would probably see more difference to their skin over time because it really tackles the issues that dry skin causes. The only downside to this product is the packaging. It comes in a heavy glass bottle which doesn’t make it travel friendly at all, and the hole which dispenses the product is rubbish. When you first start using it you practically have to slam and shake the bottle vigorously onto your palm to even get the tiniest amount of product out. Once you’re about halfway through the bottle, it does dispense much easier. It’s a small, annoying gripe but still does not take away from how great this product is. I’m so glad I picked up 2 bottles and I’d probably save the 2nd one to use next winter rather than the summer as the thicker viscosity is perfect for layering in the drier climate.